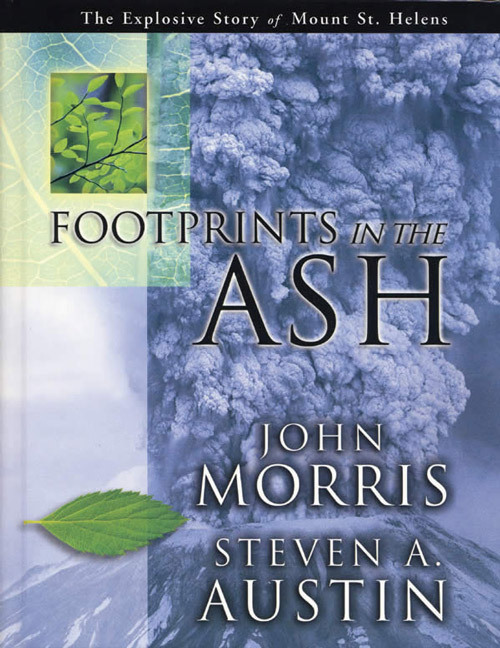 At 1:40 am, on the morning of 10 June 1886, a mountain a mere 29 kilometres (18 miles) from Rotorua in the North Island of New Zealand, blew its top. For around four hours, Mt Tarawera, as it is now known, spewed red hot rocks, mud, ash, and smoke over the countryside from fissures up to three kilometres wide and around 19 kilometres (12 miles) long.1 The immediate area around the mountain was devastated with an estimated 15,000 square kilometres (5,800 square miles) of countryside affected in some way. The mission house on the hill above Te Wairoa, following the eruption. By 5:30 am the eruption was over, although ash continued to fall, and steam vented from the mountain for days. 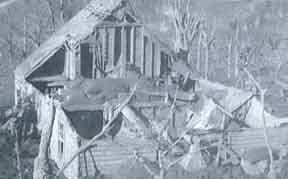 The death toll was 153, a relatively small number due to the low population of the area, but two whole Maori villages were wiped out. The large pools formed behind the steps varied in temperature from boiling in the highest to cold in those near the lake. The lower ones were ideal for visitors to bathe in. The eruption on that 10 June blew the pink and white terraces out of existence. New Zealand and the world lost two of their natural wonders. Te Wairoa was a small settlement close to the mountain on its north-west side. It had a church, a school, and two hotels, all of which were destroyed. The Te Wairoa of 1886 is today ‘The Buried Village’. The remains of some of the buildings have been excavated, and artefacts entombed in the ash for 60 or so years are displayed in a small museum. Some of these artefacts are fascinating, as the photos below show. For example, there is a bowler hat which is now as hard as stone. Further, you could, if you had the stomach, tuck into a petrified sandwich or two. Along with a fossilized bag of flour for the bread, there’ a petrified ham for the filling. There are other items that look like sausages. Who could resist petrified sausages? However, for all their appearances, it seems they are not sausages at all, but perhaps some sort of medicine or fuel.6 All these artefacts were petrified as a result of being buried in the ash from the eruption. An old photograph shows the white terraces as they appeared before their destruction in Tarawera’ volcanic firestorm. A petrified bowler hat from The Buried Village. As the ham was petrified within ‘historic time’, it was excluded on the basis of the first of these definitions from being called a fossil. Furthering the amiable exchange, I objected to the definition, even though it came from a reputable dictionary. 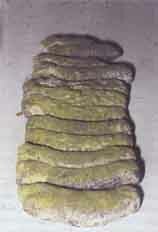 Sausage-like objects that are believed to be medicine or lampfuel. First, fossilization occurs through a number of processes. How fast or when those processes occurred is irrelevant. The important thing is that a process has occurred. Second, the definition stacks the deck in favour of a particular view of history—the evolutionary view, by including in the definition an evolutionary concept. Since creationists say there is no such thing as ‘prehistory’, only history (man has been here from the beginning), this definition works against their understanding of fossils. 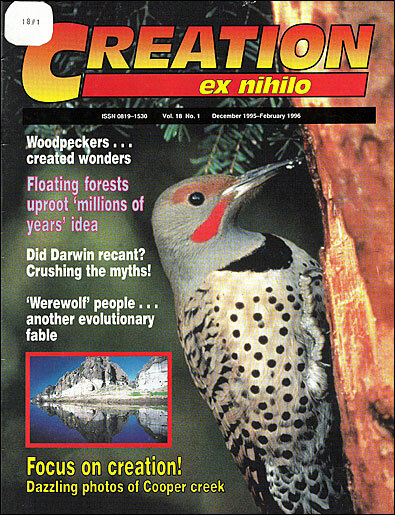 If a fossil was determined purely on the basis of a process having occurred, which is the creation position, then much of the evolutionary mystique attached to fossils would evaporate. One consequence of focusing on the process is that we know it is incorrect to say petrification takes millions of years. This ham, flour, and hat have not even taken 110 years to fossilize. They would have been transformed into their petrified state in perhaps days or weeks, or at the outside, a few years. The absolute maximum is 60 years—the length of time they were buried. Actually, some of the Maori folk who lived in the area made pocket money as a result of the tourist trade developing around the pink and white terraces. They placed various items, such as hats, into the water at the terraces so as to petrify them. * Once petrified, they were sold as souvenirs. And then there was the tourist graffiti. Hundreds of names, dates, addresses and poems, even the name of Sir George Gray, an early Governor of New Zealand, were scribbled on the silica to be covered in short measure by a transparent film and so be indelibly there for all to see!9 Fossilized graffiti! How about lunch papers and tins and bottles the tourists left behind? A sheet of newspaper left on the white terraces was within days encased in silica. Fossilized news or garbage depending on how you view last week’ paper! Mt Tarawera is yet another testimony to the rapidity with which fossilization can occur, and that the evolutionary concept of fossils as being ‘prehistoric’ does not conform with the evidence. The name Tarawera originally applied to only one of three peaks that make up the mountain. One of the peaks, Ruawahia was a sacred burial ground where Maori chiefs of the area were laid to rest. The third peak was named Wahanga. The Maori name for the pink terraces was Otukapuarangi, and for the white, Te Tarata. ‘Sinter is the material deposited by hot springs and geysers. It may be derived from the calcium carbonate of underground limestone (forming travertine) or from silica-containing rocks (forming siliceous sinter). Sinter deposits in the Rotorua district are siliceous’. Tarawera and the Terraces, by Philip Andrews, Wilson and Horton, 1986, p. 25. The Great Eruption of Mt Tarawera, D.W. Smith, Rotorua Printers Ltd, undated, p. 9. In personal correspondence, Pat McGrath, who oversees The Buried Village, says he ‘tends to think that the material is some sort of camphor or creosote-based product used for medicinal use or maybe even as a fuel for a lamp’. He has had one cut open, but it has not been analysed. Personal correspondence, R.F.Keam, 7 June 1995. 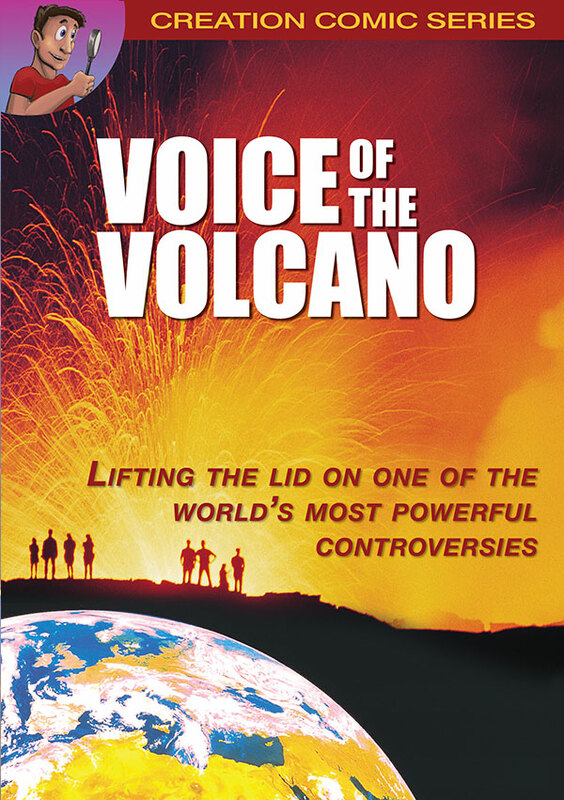 Keam is the author of a very detailed book on the eruption and its effects, entitled Tarawera, R.F.Keam, Physics Department, Auckland University, 1988. Personal correspondence with R.F. Keam, 9 August 1995. Tarawera and the Terraces, Philip Andrews, Wilson and Horton, 1986, p. 26. * There are two types of petrification of organic substances such as wood. In one, the wood decays in a hot, mineral-rich environment. As the wood decomposes and is carried away, it is replaced molecule for molecule by the mineral. This may take many years, even perhaps hundreds of years, to be complete. In the other type, the mineral-rich solution infiltrates the specimen, which becomes impregnated with and/or encased by solid rock as the minerals precipitate, but the organic material remains, protected from further decay. This is the type of petrification which would be in view here.